The following article published May 21st reveals that Internet Agents Earn over $100,000 annually while Traditional Real Estate Agents earn $36,700. This 3-fold ratio should not be astonishing; Real Estate Buyers and Sellers have embraced the Internet with near 100% saturation. It is up to the Realtor to meet and greet them online and offer them the solutions they are seeking! Respect their intelligence and avoid gimmickry - offer rich local content and become very diligent in all your communications. RISMEDIA, May 22, 2009 - The news from the NAR annual survey is in; average age of members rose, sales fell, membership fell, income fell. Only 73% of agents were “very certain” that they’d stay in the business for another two years (and that is down from last year, too). Of course, the reported $36,700 median income level includes all those new (two years and under) agents who averaged around $8,600 for their toil and those seasoned (16 year) veterans who averaged $53,900. When the majority of members can’t earn a decent living in their chosen field, that field is in real jeopardy, and so is that membership. Even garbage collectors earn between $35,000 and $80,000 a year. Paul Bishop, managing director for real estate research for NAR was quoted as saying “Almost all of our members have secondary business specialties and are diversified in their income streams- some are involved in related businesses.” I would think they would have to be involved in earning an income somewhere other than real estate if real estate incomes are so puny. Folks, the bad news in the first paragraph is directly related to the bad news in the third paragraph. It is common knowledge that agents who have made the transition to being Internet real estate agents continue to make six figures, and that knowledge is supported by our customer database. They are prospecting exactly where the homebuyer is looking today: online. Those agents receive about 80% of their leads and their business from the Internet. What is the basis of this huge disparity in income and success levels? In February of 2007, an article titled “Online Marketing: Internet Buyer vs. Traditional Home Buyer Study: The Real Estate World is Changing Even Faster Than You Think!” was published online and in print. I wrote that article utilizing the facts as determined by the California Association of Realtors® in their 2006 study on the subject. The article was quite popular, was heavily quoted and reprinted by other leading publications, as well as being distributed by some state real estate trade groups to their members (write me and I will send you a reprint, free). That article patiently explained how the paradigm for buying a home had irrevocably changed. It was a call to action for the agents and brokers looking to catch the wave that is online marketing for realtors. Now, two years later, it is apparent that not enough agents and brokers were paying attention. When NAR reports that 80+% of residential real estate sales begin online, yet the average agent says that online sales only account for 3% of their business, what is going on in the field? What a huge disconnect! It appears that 80% of all buyers are not finding the traditional real estate agent (as defined in NAR’s 2008 survey). Who, then, do those 80% of buyers go to? They go to the agent who paid attention two years ago. They go to the Internet real estate agent. -They realize that they will live or die as a real estate professional depending on how well they attract prospects online and then develop those prospects into buyers with their selling skills, their local knowledge and their personal high level of service. 1. You must be able to be found online by people searching for homes in your neighborhood. That means you must either maintain your own website, or you must let someone manage a site built just for you that produces these leads, and that site must employ the best in REAL SEO to make it found on the first pages of the major search engines by Internet buyers. As more people find your site, more people visit it; your traffic goes up. 2. Once people find your site, they must be incented to sign in. When they find your site, they are anonymous; you can’t call them back or answer their questions if you don’t know who they are. When 5-15% of visitors to your site sign in, you will receive enough leads to achieve consistent success. 3. In order to consistently succeed, however, you have to hold up your end: you must call all inquiries immediately and you must respond to their emails as fast as you possibly can. No less a great institution of learning than the Massachusetts Institute of Technology (MIT) says that all leads degrade substantially over time-even if not responded to in one hour. Contrast that to NAR’s finding that 50% of all agents call leads back within 54 hours, but that 50% of all agents never call them back and you’ll have no trouble understanding why so many fail at Internet Marketing. NAR’s income data is derived from the percentage of members who responded to their survey. Our Internet real estate agent income data is compiled from our proprietary database of clients. 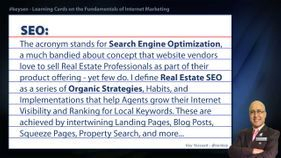 Virtually every client who has been actively marketing online for two years or more is very successful; some sell between 50-100 homes annually from their online marketing; many more sell 10-20 homes annually. Do the math: If you supplemented what you sell now with 10-20 homes from your online marketing each year, how much would you be making? Most likely, you would be earning far more than the median traditional agent of even 16 years experience. The 2007 study and article concentrated on the buying habits of Internet homebuyers compared to those of traditional homebuyers. All agents need to target those homebuyers. Concentrate on the output gained from your online marketing efforts, not from what new technological feature you could add/input to that effort. Selling online is about the quality and quantity of leads you generate. Just a few real leads are enough to succeed each month. A real lead is when the prospect actually wants to speak with you. You can’t buy leads like those and you can’t fake them. You need to produce them. When you succeed online you’ll have a steady stream of prospects from places you never considered and locations you thought you had blanketed appearing in your inbox every week. That is the point of all this: competent salespeople only need true prospects to call upon in order to sell homes. If you’re competent, all you need are real leads in order to sell houses online. Two years ago, the subject study incented some to get involved in online marketing, but most did nothing. If another two years go by with you doing nothing to succeed online, you won’t be reading this publication anymore because you will have left the business. About the Author: Mike Parker (mparker@theblackwatercg.com ) specializes in online marketing services for Realtors® and real estate professionals. To request a free review of your online marketing and website to determine if it is set up properly to be effective click here  and it will be evaluated free. 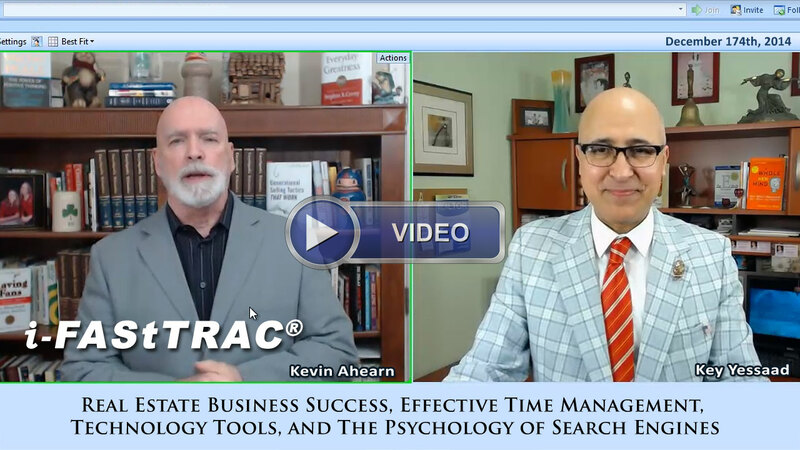 Everyone requesting such an evaluation will also receive the new booklet “REAL LEADSTM - How to get them and Sell Homes Online,” FREE with no obligation. Don’t want an evaluation but want to read the booklet? Just go to the Blackwater or Compass Internet site and download the booklet in the Success Stories section. 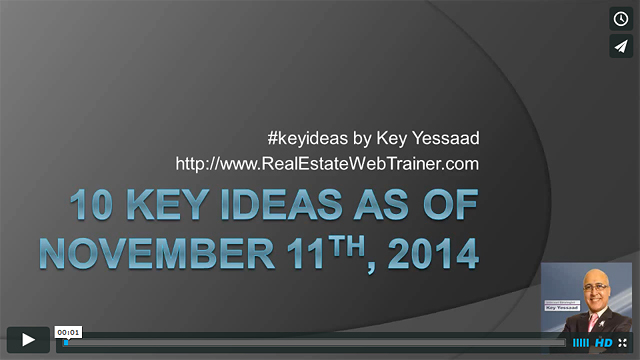 "Key's training was informative, interactive and impressive! I took away many new ideas to incorporate into my business immediately! Thank you for a great day!" "Caution ! To begin training with Key can be intoxicating. You will want more and more." The enclosed content, definitions, descriptions, writings, files, photos, and videos are copyrighted and for the personal use of the training participants attending Key Yessaad Trainings. These files may not be shared, copied, reproduced, or used at any other event or gathering without the expressed permission of the Real Estate Web Trainer, LLC. and of Key Yessaad. Unauthorized duplication of this website is illegal under international copyright laws. No part of this program may be reproduced, transmitted, transcribed, stored in a retrieval system or translated into another language in any form, by any means, without the written permission of the Real Estate Web Trainer, LLC. and of Key Yessaad.